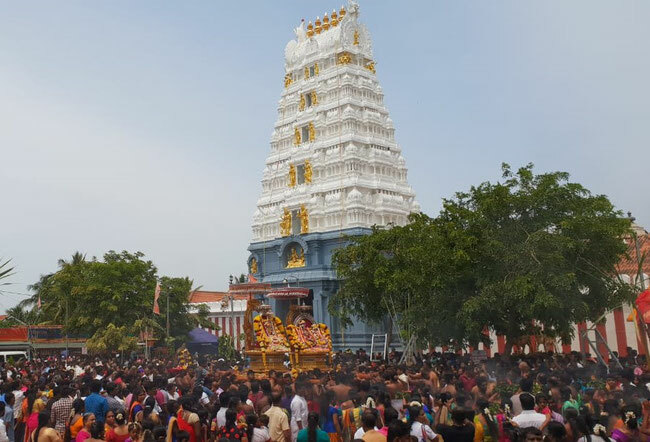 The temple is located in Munneswaram, a village with mixed Sinhala and Tamil population situated in the Puttalam District of Sri Lanka.The presiding deity Siva is installed in the form of Lingam in the sanctum sanctorum. The Siva temple’s architectural details conform to what is written down in the Hindu scriptures known as agamas.. 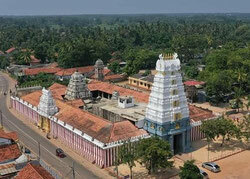 The Siva temple faces east and has three pathways around it. A sacred pond is situated in front of the Siva temple and a Bo Tree stands by the side of it. The main sanctum and the structure above the sanctum are one of the largest in Sri Lanka. 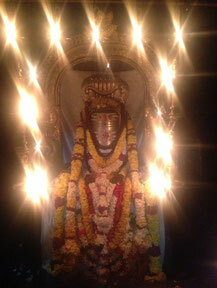 Siva linga is installed in the main sanctum of this kovil. 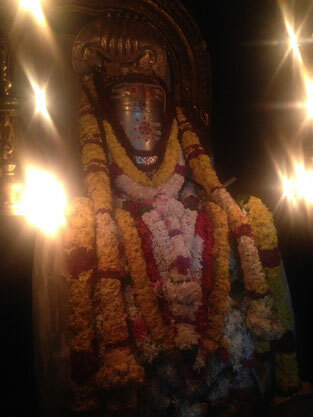 Siva as the undivided causal principle is worshipped in the linga. 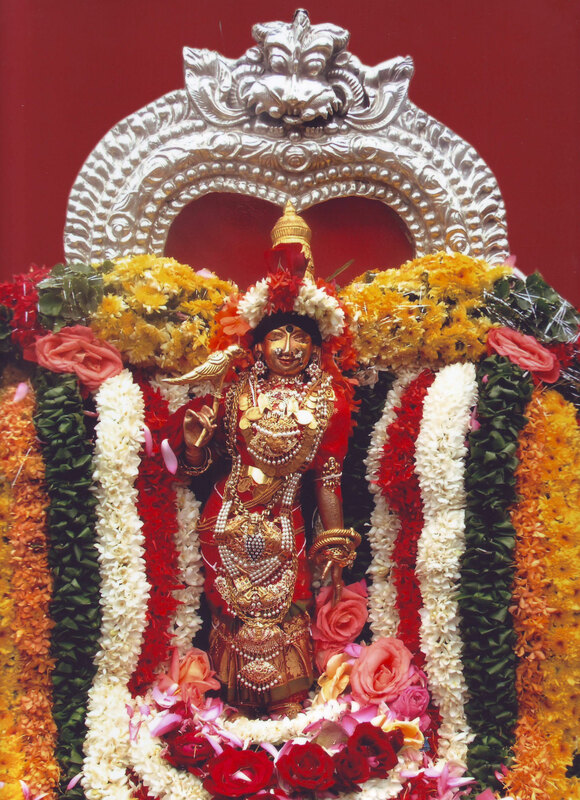 His more manifest as­pects are represented in various other images. The linga represents the male aspect and the pitha as a yoni represents the female principle complementing the male principle of linga; both together reflect the Siva-Sakti concept. 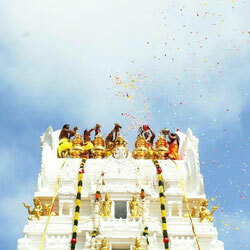 In Saiva tradition the linga is the most sacred and highly venerated object. Hence Siva linga is installed in the garbhagrha 'womb-house' of Sri Munneswaram Devasthanam. 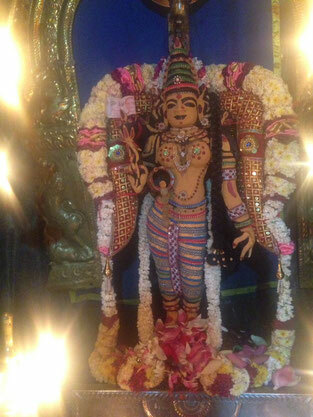 The main festivals celebrated at the temple include Navarathri and Sivarathri. 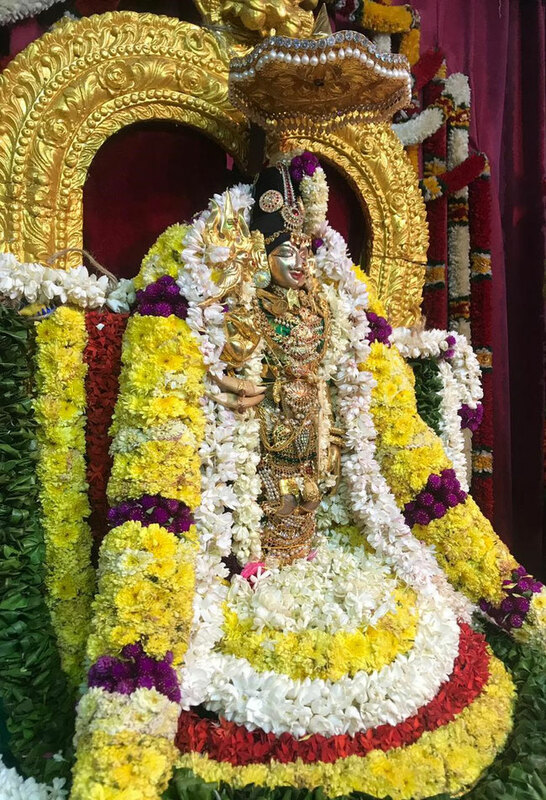 The former is a nine-day long festival in honour of the presiding Goddess, while the latter is an overnight observation in honour of Lord Shiva. 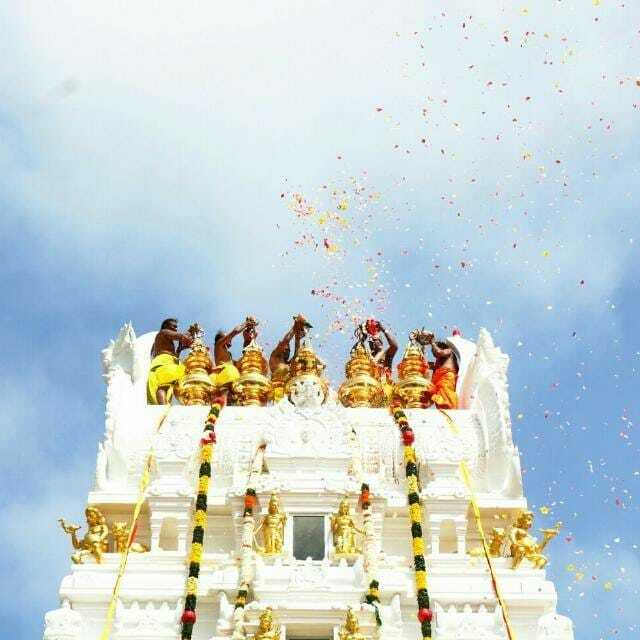 In addition to these two Hindu festivals, the temple has a festival of its own, the Munneswaram Annual Festival, a four-week long event attended pilgrims from all parts of Sri Lanka including Hindus, Buddhists etc.